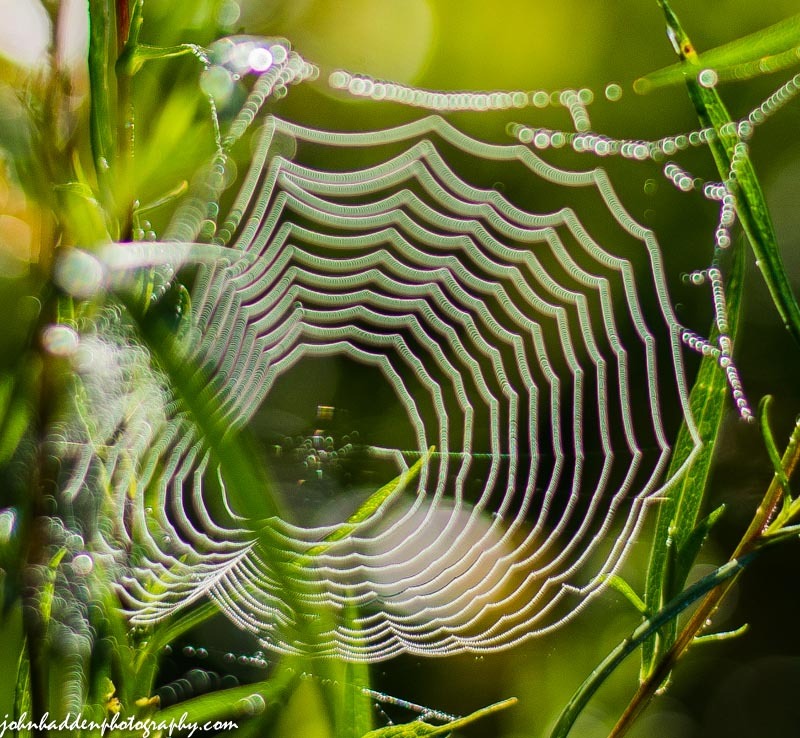 A tiny web hung with morning dew. Off-focus and shallow depth of field create a nearly neon effect on this tiny spider’s web in our front field. Nikon D600, Nikon 50m lens, ISO 100, f/1.8, 1/2500″ exposure.